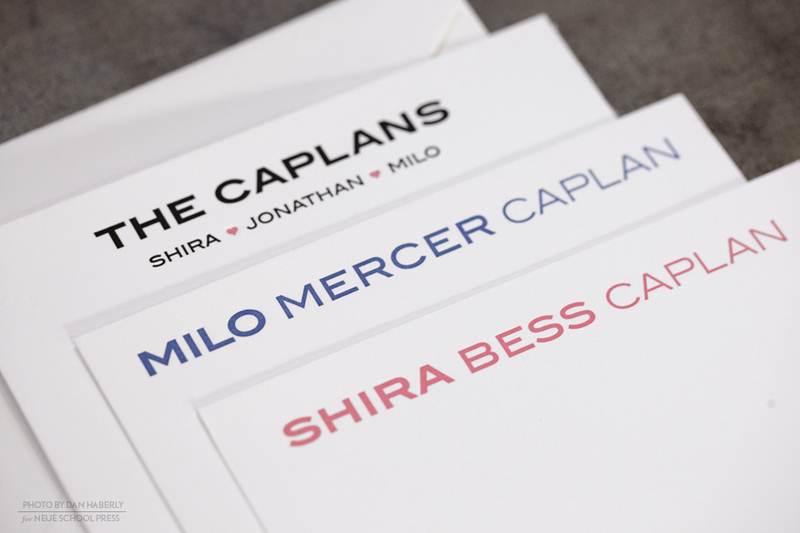 On the occasion of the birth of their first son, Milo, the Caplans ordered a set of family stationary. 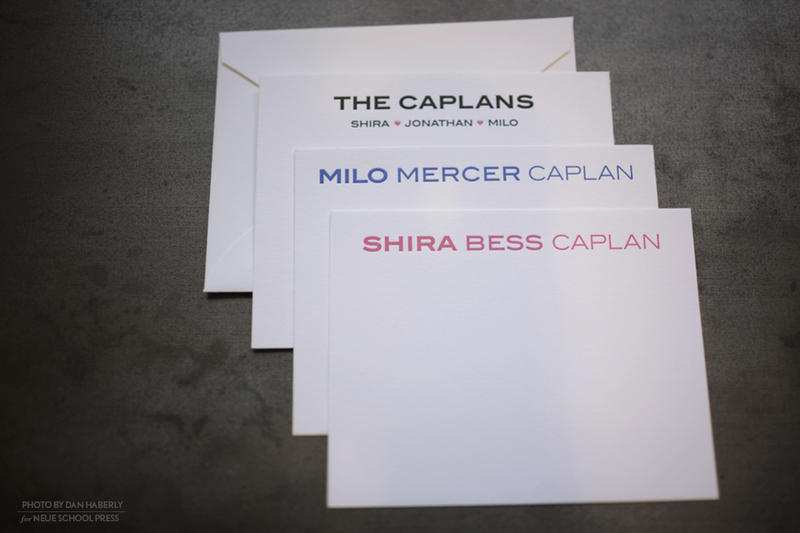 The set included flat cards and coordinating blank envelopes. 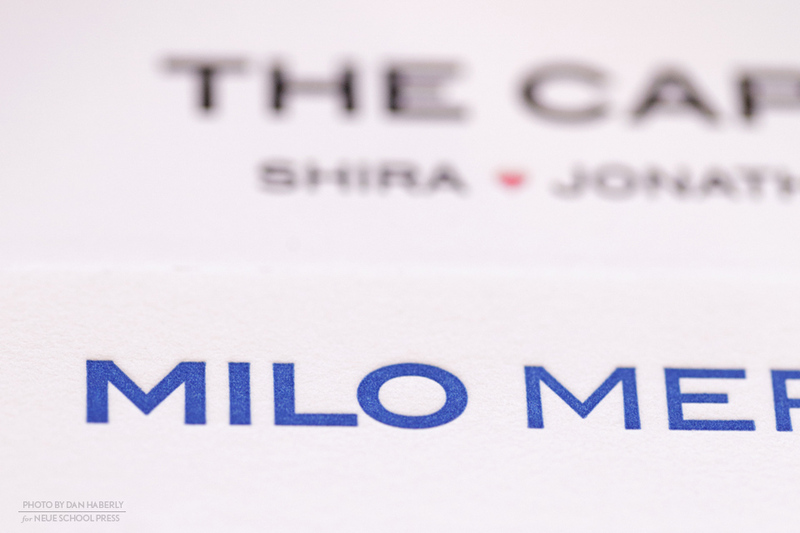 The cards were letterpress printed on fine 100% cotton stock in pms inks for Milo, mother Shira and the entire family. Milo’s set was used in place of a traditional baby announcement. The set was designed by Jonathan Caplan.